So...I'm a brand new blogger and I don't have much to throwback to... if you know what I'm saying, but I just have to feel like one of the cool kids today and join in on Cara's Linky Party! 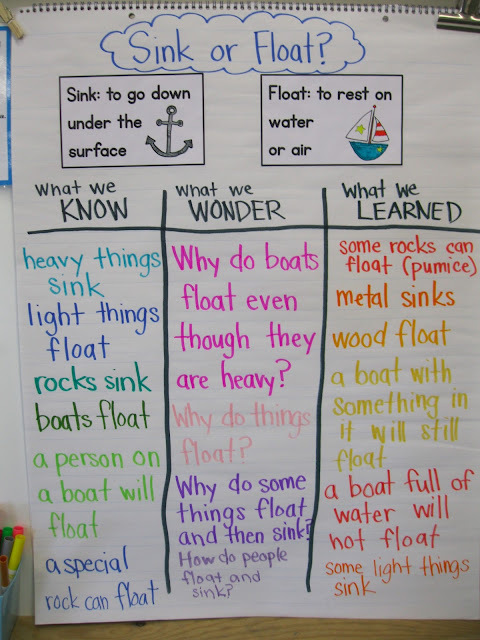 We had such a fun time today with our sink/float science lesson. My kids were very excited to become real scientists and they took their jobs of predicting, testing, and concluding very seriously! We started out with a little vocab and a KWL chart to get our schema going. I was very impressed with what they knew already and with the questions that they wanted answered. After some VERY CLEAR instructions about not chucking objects into water tubs or starting a water war with your neighbor...we set to work making predictions and testing out our hypotheses. So great! They did so well! I expected and prepared for some mighty soaked desks, but my kids were so responsible with their materials. They really loved that do-or-die, sink-or-float moment when they discovered whether or not their prediction was correct. They also loved being surprised by a few objects like the sponge or the pumice. I loved being able to watch their predictions unfold and change as they tested more and more objects. Now, I am new to this whole thing and I don't profess to have a single soul reading this....BUT, just in case someone is and just in case that someone is interested in this lesson, you can grab the materials I made for this lesson right here. In my itty bitty TPT store. Thanks!! That was my second post. Ever! I hope I've come a little ways since then! Ha, thanks for reading! 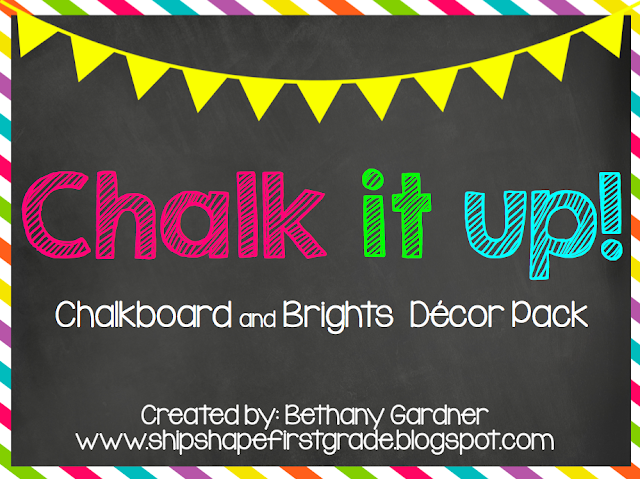 And one more thing, my Chalk it Up! 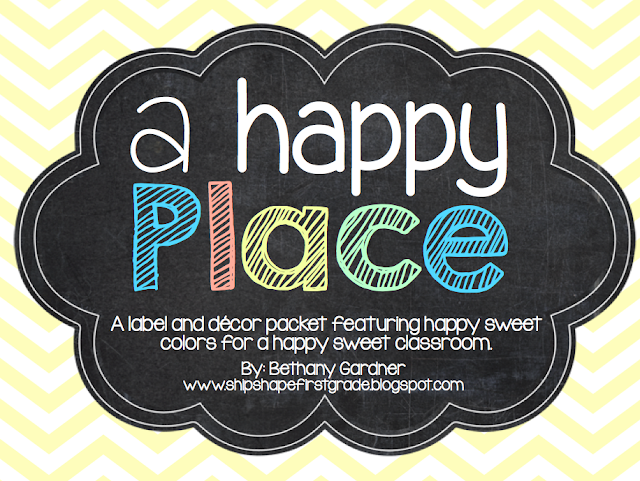 Chalkboard and Decor Brights pack and my A Happy Place pack are both on sale today! Grab 'em below! I love your blog! I hope you gain a lot of followers from the Throwback Thursday post - it's a great one! It was great to meet you at the Utah Blogger Meet Up! I am looking forward to getting to know you better and coming back and visiting you blog again and again. Love you sink or float ideas.